La Tenuta Uccellina is an idyllic country estate nestled in the heart of Tuscany’s Maremma Regional Park. With magnificent views across an unspoilt Tuscan landscape of green forest and majestic mountains, La Tenuta Uccellina Estate is the perfect place for a beautifully relaxing holiday. The 400 hectare La Tenuta Estate also offers plenty of opportunities to enjoy the very best outdoor activities Tuscany has to offer, from horse riding to sailing, in a naturally beautiful setting with exclusive and direct access to the sea. 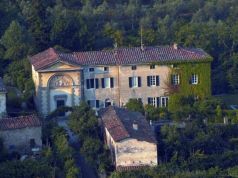 The La Tenuta Estate offers a range of accommodation from warm and welcoming selfcatering apartments, to a luxury Villa. 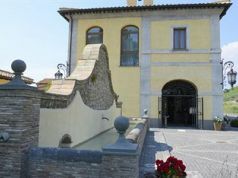 All are situated inside the park and furnished in traditional Tuscan style. The Estate is also a working organic farm, and all of the delicious food served at the La Tenuta Uccellina is organic, grown and prepared on-site. 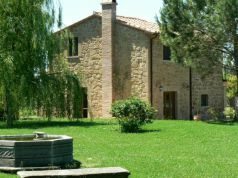 The traditional farmhouse accommodation at La Tenuta Uccellina offers a range of seventeen apartments and one villa, furnished in true Tuscan style. Each farmhouse has been sympathetically converted to provide studio apartments, two-room apartments and three-room apartments. All have terracotta flooring, farmhouse décor and traditional features and provide stunning scenic views of the park. Whilst traditional in style, the farmhouse apartments are fully equipped with modern day comforts including TV, and Italian towels and bed linen, ensuring the most comfortable possible stay for all guests. The two-room apartments consist of a double bedroom, bathroom with shower, large living room with double sofa bed and a fully equipped kitchen. Ground floor apartments with patio doors give direct access into the farmhouse garden, while first floor apartments offer fantastic views across the Park. Three apartments have disabled access. The three-room apartments consist of two double bedrooms, bathroom with shower, large living room with double sofa bed and a fully equipped kitchen area. This kind of accommodation is either on the ground or first floor, both of which offer magnificent views of the park. Guests may prefer to book a private Villa immersed in the greenery of the Uccellina hills. This Villa accommodates up to 7 people comfortably and features a spacious living room, fully equipped kitchen, 2 bathrooms and 3 bedrooms. In addition, guests staying at the la Tenuta Villa have exclusive use of the villa garden, with gazebo and wood burning stove, the perfect spot for an ‘al fresco’ dinner. 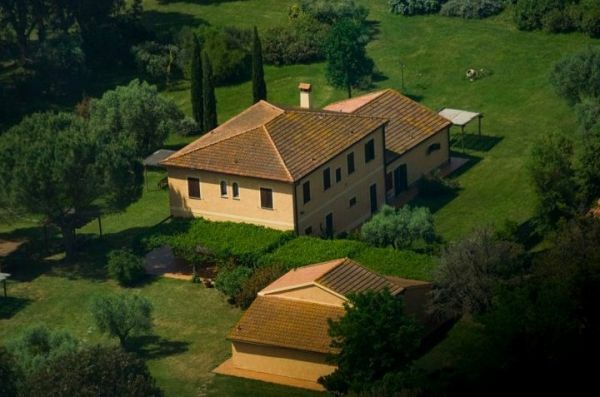 La Tenuta Estate is nestled within the beautiful, protected Tuscan landscape of the Maremma Natural Park. Unchanged for centuries, the Maremma encompasses 130 km of coastline, an endless series of bays, coastal marshes, forests and Mediterranean scrubs, alternating with beaches, pine forests, stretches of superb cliffs and coves. The outstanding natural beauty and history of the region have been preserved for visitors to enjoy today. 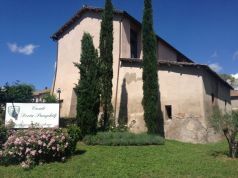 The ancient Maremma towns of Cosa and Roselle, date back to the Romans, while well preserved city walls surround Roselle and Vetulonia. Archaeological sites and Etruscan necropolis (cemeteries) featuring great examples of monumental tombs can be found across the region, and archaeological museums of Grosseto, Massa Marittima and Vetulonia and in the archaeological areas of Sovana, Roselle and Vetulonia. Guided walks from La Tenuta often encounter some of the many animals, such as deer, badgers, foxes and boars still living wild in this breathtaking countryside. The also may find Tuscan cowboys, the ‘butteri’ riding a ‘Maremmano’ the horse typical of the Maremma. The sea is just over the hills from the La Tenuta Estate and a short trek or Jeep ride takes guests to private bays and wonderfully peaceful Tuscan beaches. South of the estate are further stretches of beautiful Tuscan beaches between Fonteblanda and Talamone, and the impressive Costa d'Argento, set among Giannella’s and Feniglia’s beaches and the prominent sea cliffs of Argentario. Guest may also take to the sea, on either sailing or motorboat trips, in order to appreciate the sheer beauty of this Tuscan coastline. A passion for traditional organic food is evident throughout La Tenuta from the food that is served to guests, to the way that the food is grown and livestock raised across the estate. Guests are spoilt for choice with the wide range of local organic food available, from the freshest fruit and vegetables, to extra virgin olive oil and select cured ham and cheese, and a wide selection of wine. The farm at La Tenuta employs traditional organic farming methods in its vineyards, olive groves, vegetable garden and fruit trees. Bees and traditional Maremma cows are kept on the estate. Meat produced on the certified organic farm makes use of the best natural techniques. The Maremma cows roam free across 400 hectars of protected estate. The organic produce from the farm provides the main ingredients used in preparing the delicious, fresh Tuscan dishes served at La Tenuta. The Uccellina certified organic extra virgin olive oil has a mild, fresh, slightly fruity flavour that complements any dish, drizzled over salads, on bruschetta or brushed over grilled fish and meat. The estate vineyard produces excellent certified organic Tuscany wines. Guests will certainly be tempted to try the fresh white “Bianco IGT Maremma Toscana” made using Vermentino grapes or the impressive red “Rosso IGT Maremma Toscana” made using Sangiovese grapes. In fact, La Tenuta is so proud of its produce that a range of tantalising activities is offered to showcase Tuscan food and wine. Guests can spend a day discovering more about this Tuscan farm and what it has to offer; they can learn how to prepare traditional Tuscan dishes in cooking classes; or experience a whole host of Tuscan flavours at La Tenuta’s Food Tasting sessions. Circolo Ippico Dell’Uccellina is the equestrian centre at La Tenuta offering a range of riding activities for guests to enjoy while staying on the estate. Individual and group lessons are available for experienced and novice riders, as well as lessons specially designed for young children. Other activities including grooming and games are arranged for children to learn more about ponies. 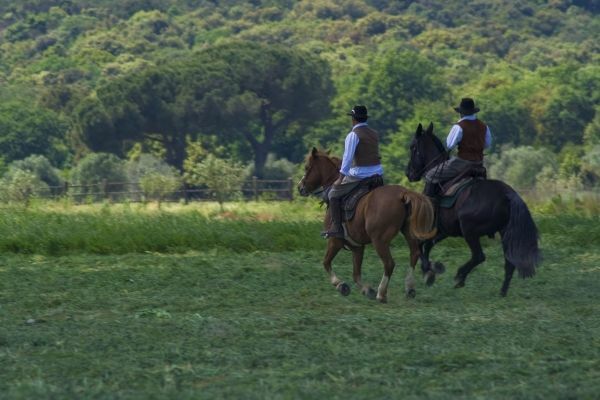 Guests can take a guided trek through the Maremma Natural Park and enjoy the picturesque scenery and wildlife on horseback. They can experience the life of the Butteri, or Maremma cowboys before returning to La Tenuta for a ranch barbeque. The centre is affiliated to the F.I.S.E. Riding Club the most important equestrian Federation in Italy.